Dried pineapples are an excellent snack between meals but also a delicious addition for your breakfast muesli or for exotic meals. 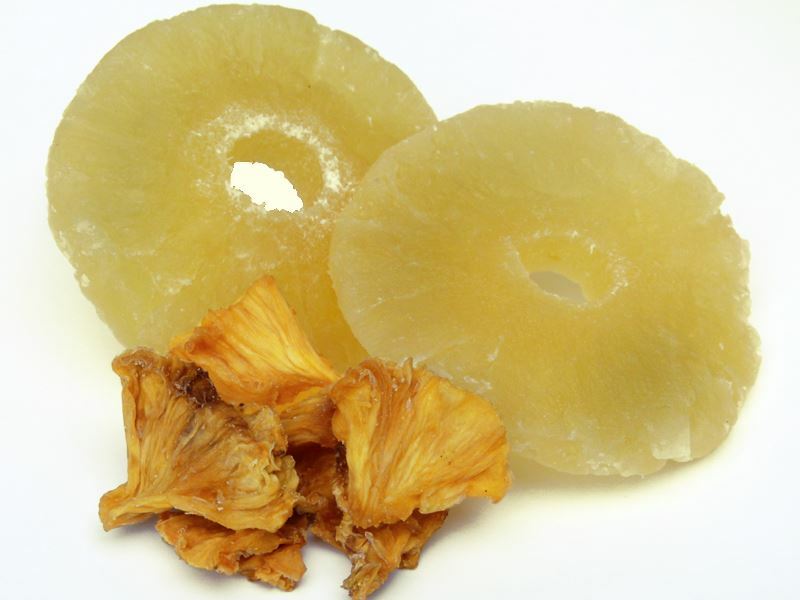 Out pineapple slices and pineapple pieces add a wonderfully fruity, slightly tarty arorma to Asian food. Pineapples belong to the bromeliad family and originate from America. The cone-shaped pineapple fruit grows as part of a herbaceous plant close to the ground and is extraordinarily rich in vitamins (in particular vitamin C) In addition, pineapples contain mineral nutrients such as calcium, potassium, magnesium, sodium zinc, and other substances essential for the human body. It is also very rich in enzymes, including bromelain.